Home sales mountain wide have been cranking right along. Buying a vacation home on a budget has never been easier. June 2013 home sales in Crestline, Running Springs and Twin Peaks areas were moving right along. 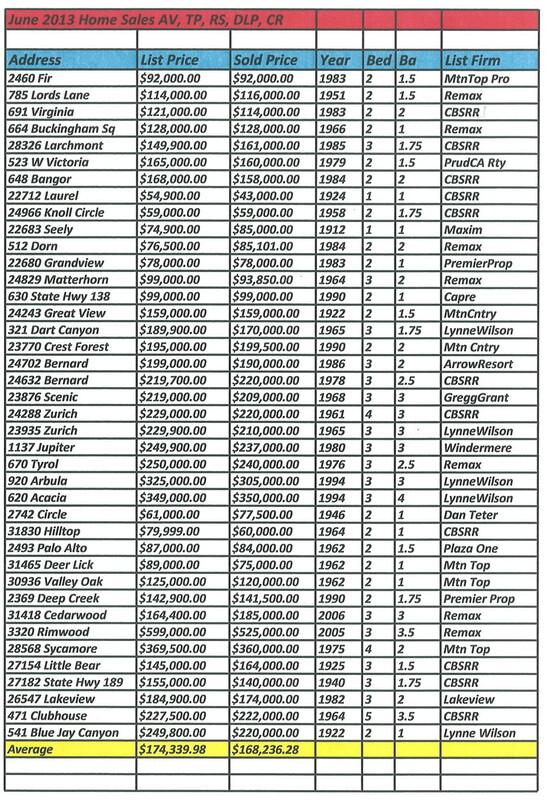 The chart below shows all sales for the month of June 2013 in moutain real estate.